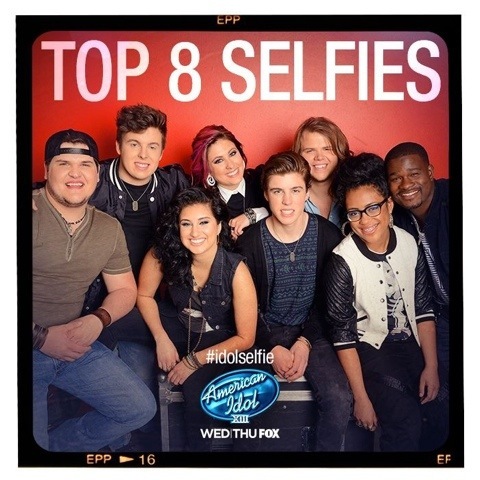 This week on American Idol should be a very good week – for a couple of reasons. First off, the Top 8 will be performing Songs From The 80s. This was a very good decade for music and, hopefully, each singer was able to find a song perfectly suited to their vocal style. Secondly, one of my favorite Idol winners ever – David Cook – will be the Guest Mentor for the Top 8 singers. Finally! Yes, finally! I, along with a legion of fans, have been waiting for this moment and it has arrived. And just in time, too. The ratings should receive a gentle boost with David Cook’s involvement this week. Also, I would expect, he should be performing on the Results Show on Thursday. So, many multiple Cookie sightings in store! The Performance Show airs on Wednesday, April 9th at 8:00 PM on NBC, followed by the Results Show on Thursday, April 10th at 9:00 PM. Are you excited for this week’s show? Are you hoping, like I am, that Sam Woolf, performs without the guitar? Comments are open for business. Let’s get this show back on track. I am so excited to see what David can help these kids concoct. He certainly is the master of turning a song upside down, a la Billy Jean. Another one of David’s strengths is to give a song a musical narrative with a clear beginning, middle, and end (and maybe a middle eighth), without making the song sound truncated in the ridiculous context that 1:30 is. — Maybe he can help [b]Dexter[/b] make some artistic decisions to clearly showcase his classic country persona. — [b]Sam[/b] could take a note from David’s quiet confidence and ability to connect with the audience, although Harry’s advice last week to look at one person in the audience was the best so far. — I’m keeping my fingers crossed that [b]Caleb[/b] does something “not so loud.” He has done quieter songs, but still with over-the-top bravura. It’s not about quiet. It’s about shower a more vulnerable side. If he doesn’t, he will simply become a caricature of Jack Black/Meatloaf, albeit with perfect pitch and technique. I hope that Caleb doesn’t choose a typical ballad from a band like Journey or Foreigner. It’s too much in his genre. He needs to take something out of his wheelhouse, which he has shown us he can do.Maybe “Time After Time” by Cyndi Lauper? — [b]Jena[/b] and [b]Jessica[/b] have the raw talent to do what David has done. Working with him will solidify their growing confidence. — [b]Malaya[/b], as Harry as astutely pointed out, needs to learn to work with the musicians better, rather than running amok with her runs. I hope she has the wisdom to take some notes from David and gains even more poise. — [b]Alex[/b] can only get his artistic instincts confirmed by David. I hope he will work on his diction a little. I think 80s week is in his wheel house. There are so many indie tunes he could redo. My offbeat suggestions are “Redemption Song” by Bob Marley and “What I Am” by Edie Brickell. My not-so-offbeat suggestions are “Driver 8” by R.E.M. (or another early dittie by them) or “You Can Call Me Al” by Paul Simon. — I don’t know what to say about CJ. No one can help CJ, but CJ and a vocal coach. I’m hoping for a blues song by Stevie Ray Vaughn (“Life by the Drop”) or Robert Cray (“Strong Persuader”). I enjoyed the selection of songs from the 1980’s. I just knew Caleb would chose a Journey song. I had hoped for “Lights” but he sound good with “Faithfully”. Yes, indeed – David Cook is a good mentor. He picked out things the Finalists needed to hear. Not all listened. Sam changed his mind and decided to have his guitar. I loved his song selection, “Time After Time”. So, the producers again put him in a group with some lovely teen girls and he didn’t even look at them. Eye contact with a few would have made a much better performance. Sam has a really nice voice, but he needs to make that connection. I agreed with Harry’s suggestion about Ricky Nelson. I watched six of his performances and then sent Sam two tweets about Ricky. Mainly, it’s the eyes. Ricky knew how to slowly close them and open. Will Sam ever learn to flirt? Jessica, I tried using the word strong instead on b. Let’s see if it works. I give up on Dexter and CJ, but I bet they’re going to eliminate another girl. It may be Malaya. Jena and Jessica did a nice job. I much prefer a specific theme than more current songs. But, that’s me. MCL, I agree… it’s great to have seen David Cook mentor. He made Randy seem irrelevant.